Country music star Keith Urban lost his father Robert to cancer on Saturday 5 December. The 48-year-old American Idol judge, who is married to actress Nicole Kidman, finds himself in a bittersweet position over his dad's death, writing in a statement released to Us Weekly magazine: "I've been deeply touched by the outpouring of love and support that Nic and I, and our family, have received since my Dad’s passing on Saturday night. His long battle with cancer is now over and he is finally at peace." Keith went on to acknowledge his father for the many years of inspiration he provided. "My dad’s love of country music and America set me on my life's journey, and shaped so much of who I am today," the New Zealand native detailed. "Thank you to everyone who has kept us all in your thoughts and prayers." 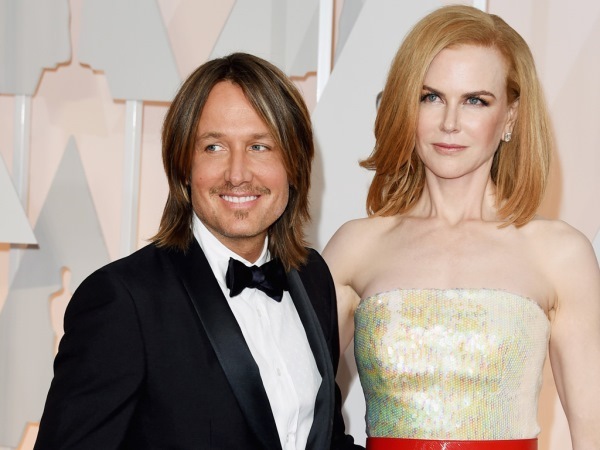 This is the second major patriarchal loss in the Urban-Kidman family - Nicole's father Anthony Kidman died in Singapore at the age of 75 in September 2014 after falling in a hotel. Keith has experienced a mixed bag of emotions this week, as The Kiss a Girl singer also celebrated the opening of a Country Music Hall of Fame and Museum exhibit created in his honour. Speaking to The Tennessean at the exhibit's opening event, which took place in his adopted home of Nashville on Wednesday 2 December, he informed the publication his father had been moved to hospice care. "He's probably only got a few weeks (to live), if that," Keith shared. "I've just been dealing with that the last couple of days. This has all come at a very strange time, where it's typical of a career that has extreme highs and extreme lows all often at the exact same time. So (the exhibit) is bittersweet a little bit because (my dad) is the catalyst for all of this. My dad is the catalyst for me living in America."